The Persian Gulf is not just another geopolitical bloc or a cluster of countries but the key to India’s growth story. India’s sustained economic development and the resultant social progress and political ascendance are intrinsically linked to its strategic relations with the region. This recognition is reflected by the increased engagements with these countries since Narendra Modi became prime minister and this journey serves well for the larger foreign policy interests. The region’s strategic importance far outweighs other parts of the world, including the immediate neighbourhood. 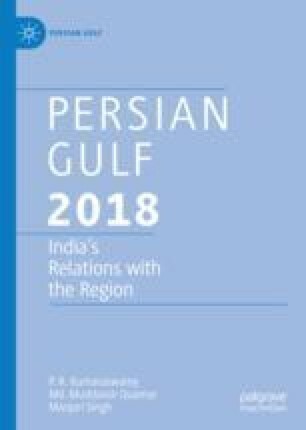 In sheer economic terms, during 2016–2017 India’s trade with the Persian Gulf countries stood at US$123 billion or 18 per cent of its total foreign trade and the region supplies nearly 55 per cent of India’s total energy imports. In addition, the Gulf Arab countries host over 8.5 million expatriates who send home about US$30 billion in remittance and this was half the amount that India received during the year.